Nigel Lovett was born in England and educated at Oxford University, where he read Modern History. After Oxford he qualified as a Chartered Accountant and in 1974 he moved to New York to work at Lehman Brothers. He worked on Wall Street for the next 24 years, including a two year stint in Tokyo. His responsibilities included dealing with energy companies and an active involvement in the management of Lehman Brothers' investment banking division, with a particular focus on Asia. Since 1998 he has worked for himself, although he served as CEO of a small international oil company in Dallas between 2007 and 2009, having previously been one of its outside directors. In 2011 he moved to Monterey, where he has built a home for his retirement. Nigel is the non-executive Vice Chairman of a wealth management and private investment company, a director of various private companies, and a Board member of New York-based Americans for Oxford. He is an Advisory Director and past President of Pestalozzi US Children's Charity and has been actively involved on the development boards of a number of academic and educational institutions in the United Kingdom. He has two adult sons and lives in Monterey with his wife, Jinah. Jim has a love of the land, nurtured by living and working in some of the most beautiful places on earth: Hawaii, San Francisco, Lake Tahoe, the Monterey Peninsula. He is currently chairman of Simpson Manufacturing (NYSE:SSD), an international provider of engineered construction products. Jim is the retired chairman, president & CEO of Matson Navigation, a transportation company serving the Pacific Rim, and the past president of C. Brewer & Co. Ltd., a Hawaii-based agribusiness with substantial landholdings, both domestic and international. In the course of his business career, he has been at the interface of competing interests for the farming, conservation and commercial development of real estate. This experience has reinforced his belief that open spaces can and need to be both protected and accessible for public use, with education as a priority. Jim was drawn to BSLT as a result, and became a Board Trustee and treasurer in 2017. Jim's non-profit experience has been community based for the past thirty years. He has been the past chairman of the University of Hawaii Foundation, the American Red Cross-Hawaii State Chapter, the Hawaii Employer's Council and the Hawaii Agricultural Research Corporation. He served as a trustee of Mills College and the SF National Maritime Park Association, two organizations dedicated to education. He is presently a trustee of the Coast Guard Foundation, a position held since 1996. Jim holds a BS degree, with honors, from the US Coast Guard Academy, where he was captain of the basketball team his senior year. He earned an MS degree from MIT in 1971. He is a Vietnam veteran, happily married with four natural children and two foster children from Asia. Jim and wife Ginger are avid hikers, gardeners and world travelers and make their home in the Santa Lucia Mountains. Al Muñoz was born and raised in Los Angeles, California. In 1971, Al was drafted into the military and was stationed at Fort Ord, California. The beauty of the Monterey Peninsula captivated Al's interest in making the Monterey Peninsula his home. He recently retired from his position as Vice President of Administrative Services at Hartnell Community College and continues to support Hartnell College by serving as a board member of the Hartnell Community College Foundation. He is currently the secretary of the foundation, member of the finance committee, and arts council of the foundation. Al is chair of the Bond Oversight Council for Hartnell as well as a member of the North Monterey County Hartnell Facility Planning Committee. Al received a Bachelor's Degree in Psychology from Sonoma State University and a Bachelor's Degree in Accounting from Golden Gate University. While employed by a local CPA firm, he received his CPA license. He then moved on to work in the healthcare industry as a Corporate Finance Officer. After several years in this position, Al left the healthcare industry to complete his professional career at Hartnell College. Al and his wife Jackie are proud parents of two adult children and two grandchildren. Jackie retired from her position as Superintendent of the Aromas-San Juan Bautista Unified School District. Al and Jackie are committed to education, in all forms, for our youth and adults in Monterey and San Benito counties. Having the good fortune to live on the Central Coast, Al and Jackie have enjoyed walks on the local beaches, hiking Fremont Peak, and kayaking in Elkhorn Slough. Julie Drezner brings to BSLT more than 35 years of experience in the philanthropy and nonprofit sectors as a grantmaker, senior manager, executive director, board member, consultant, and trainer. At the end of 2014, Julie retired as vice president of grants and programs at the Community Foundation for Monterey County, where she oversaw grantmaking and nonprofit support programs, working to make Monterey County communities stronger, healthier, and more vibrant. For 15 years before joining the Community Foundation, she led a national consulting firm, providing planning and management services to nonprofit organizations, foundations, and collaborative ventures. Formerly, she managed a $30 million annual grants program at the California Wellness Foundation, served as program officer for the James Irvine Foundation, and ran a nonprofit in San Diego. Julie is currently a commissioner of First Five Monterey County serving as Chair of the Commission and its Evaluation Advisory Committee. She holds a Master's Degree in social work, specializing in public policy and community development, and is an adjunct professor with CSUMB's Master of Social Work Program. A California native, Julie loves the natural beauty of the Central Coast and is passionate about Big Sur Land Trust's vision for the region and its work to connect young people with nature. She lives in Monterey with her husband, Rob, a psychology professor at Monterey Peninsula College and an avid volunteer at the Monterey Bay Aquarium. Sarah Berling was raised in Carmel, graduating from Carmel High School. She received a BA in history from Stanford University and a Master's Degree in Clinical Social Work from Denver University. After serving as the Director of a day treatment center for emotionally troubled children and their families in Santa Clara, Sarah established a private psychotherapy practice in Los Altos and is now, after more than 40 years, mostly retired. She specialized in working with children, adolescents and families. When in the 6th grade at Sunset School in Carmel (now the Sunset Cultural Center), a teacher formed a Junior Audubon Club and Sarah has enjoyed birding ever since. She has birded in 20 different countries. Her last birding trip was to Cuba, which possesses many endemic birds, including the bee hummingbird, the smallest bird in the world. Sarah has participated on 5 Boards of Directors: Monterey College of Law, SPCA of Monterey County, Ventana Wildlife Society, Carmel Heritage Society and the Carmel Foundation, where she was the Chair for 2 years and was active in the fundraising for its most recent low-income housing structure. Sarah is also a co-trustee of the historical Devendorf Collection housed at the Carmel Library. 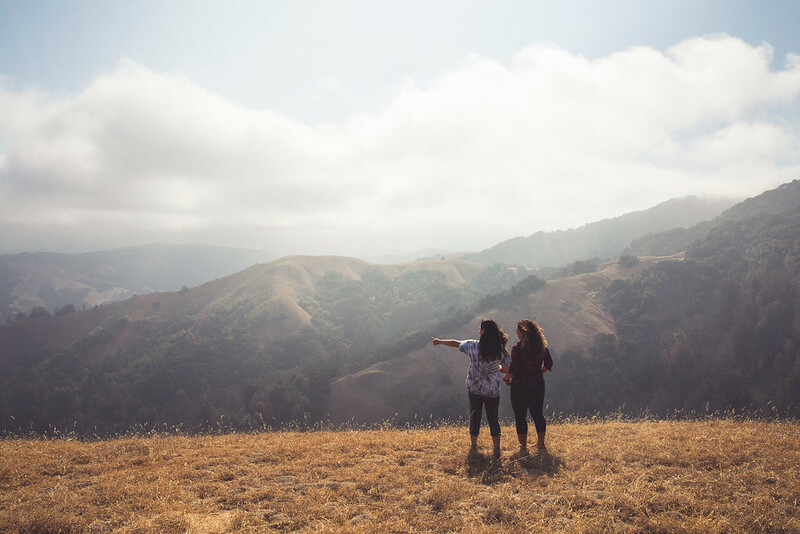 Sarah's first voluntary experience with Big Sur Land Trust was leading hikes. She is very interested in preservation of wild animals, birds and their habitat. Teaching children and adults the need to protect them and enjoy them is most important. Sarah has a son and 2 grandchildren. She lives in Carmel-by-the-Sea with her husband, Clay and dog, Lady. She also enjoys the family cabin at White Rock in Carmel Valley. Ernest was managing director at KPMG Consulting and BearingPoint Inc. from 2001 to 2009, and worked with major corporations in the U.S. and Europe to turn around their underperforming businesses. He held multiple positions at the Chevron Corporation from 1979 to 2001, including principal consultant, general manager, business development manager, operations manager and technology research and development manager. In 2013 Ernest was appointed by Governor Jerry Brown to the California Commission of Park and Recreation, and served as Chair of the commission from May, 2013 to February, 2015. He was reappointed to the commission in 2015. Ernest also serves on the Board of Directors of the Pacific Grove Museum of Natural History. He formerly played an active role in the support and operation of various state parks in Marin County. Ernest earned a doctorate degree and a Master of Science degree in chemical engineering, and a Bachelor of Science degree in Engineering Science and Biology, all from the California Institute of Technology. He also holds a Master of Business Administration degree from the University of California, Los Angeles. Alfred Diaz-Infante was born and raised in Salinas. He earned an M.B.A. degree from the University of California, Berkeley, with an emphasis in Real Estate and Urban Land Economics, and B.S. degree in Finance from California State University, Sacramento. He currently serves as the President and CEO of Community Housing Improvement Systems and Planning Association, Inc., (CHISPA) and its affiliated companies. CHISPA is the largest non-profit affordable housing provider based in Monterey County. He is currently a Board Member of the Hartnell College Foundation, Community Foundation for Monterey County, Literacy Campaign for Monterey County, Salinas Planning & Research Corporation, Youth Orchestra Salinas (YOSAL) and Salinas Regional Sports Authority. His recreational interests include mountain biking, karate, reading and attending his children's sports activities. Alfred and his wife, Elvira, and their three children, Karina, Alexis and Marcos, live in Salinas. John Gamble grew up in Southern California, headed north for his undergraduate studies at Stanford University. He graduated from Loyola University School of Law in Los Angeles where he was a member of the law review. He was a founding partner of his law firm, Allen, Matkins, Leck, Gamble, and Mallory, which today has over 220 attorneys with offices throughout California. John practiced real estate law for over forty years managing the firm's offices in Orange County and San Francisco prior to his retirement in June of 2012. He has been involved in numerous non-profit entity activities throughout his career and currently is a trustee of the Golden Gate National Parks Conservancy. John and his wife Laura relocated to the Monterey Peninsula in 2006 following the completion of their house at the Santa Lucia Preserve. They have five adult children and seven grandchildren to enjoy. Kurt is the Chief Operating Officer of Scheid Vineyards Inc., winegrowers and vintners farming 4,200 acres and processing 30,000 tons of grapes annually in Monterey County. Kurt joined Scheid Vineyards in 1988. Kurt is an active member of the wine industry; he has served as President of the Central Coast Grape Growers Association, Vice Chair of the California Association of Winegrape Growers, Chair of the Monterey County Vintners and Growers Association and a director of Wine Institute, representing Monterey and Santa Cruz counties. Kurt is a founding director and Chairman of the Board of 1st Capital Bank, a community bank founded in 2007. He is currently chair-elect of the Hartnell Community College Foundation. He is also a director on the Central Coast Youth Sports Organization and the Salinas Valley Sports Authority – organizations that develop recreational facilities for sports. Kurt served as a member of the Board of Directors of the Center for Community Advocacy (CCA). He has also served Chairman of the Community Foundation for Monterey County. Kurt was a member of the Grower-Shipper Association (GSA) of Central California from 2002-2006. In 2004 he was the first Chairman selected from outside the vegetable industry in the organization's 80-year history. Kurt completed his studies in Agricultural Business at California Polytechnic University San Luis Obispo. He is a Class 16 graduate of the Agricultural Education Foundation's California Agricultural Leadership Program. Coach Kurt and his wife Janet raised 5 children in their Salinas home spending weekends traveling with soccer teams and coaching many successful seasons at Notre Dame High School. Kurt is a Master Knight in the Brotherhood of the Knights of the Vine, whose slogan is "Water separates the people of the world; Wine unites them." That phrase applies to Kurt's problem- solving style as well: he is a consensus-builder who puts his energy into finding solutions. For his innovative style and positive approach to farmworker needs, the Center for Community Advocacy presented Kurt with the Ben Heller Award in 2012. A progressive thinker with an inclusive vision of Monterey County's future, Kurt is a powerful force in many local organizations. Krista Hanni is the Planning, Evaluation, and Policy Manager of Monterey County Health Department. She has led this unit's work to facilitate the department's work in health equity since the unit's inception in 2012. The department's work in health equity around Health in All Policies and community engagement led to it being selected for the Arnold X. Perkins Award for Outstanding Health Equity Practice in 2017. Krista has a Master's in Zoology from the University of Western Ontario and a Doctorate of Philosophy in Epidemiology from the University of California at Davis. She worked in wildlife biology on various projects including disease ecology of sea otters and evolutionary ecology of raccoons and red squirrels, before transitioning to public health. She has worked in a variety of public health areas from communicable through chronic disease with a particular focus in recent years on the social determinants of health. Krista is the past Board President for the Bicycle and Equestrian Trail Association (supporting joint use of public lands), the California Conference for Local Health Data Managers (supporting county data use policies), and has been a National Public Health Leadership fellow. She is the Board President for the YWCA Monterey County and a member of the Community Foundation Monterey County Women's Fund Advisory Team and the California Chronic Disease Leadership Team. Dr. Willard (Will) Lewallen is a native Californian and a product of the California public education system where he graduated from Garey High School in Pomona. He completed a B.S. degree with honors at California State Polytechnic University at Pomona. He was a member of the 1976 national championship baseball team that was inducted into the Cal Poly Pomona Athletics Hall of Fame and he was also honored as a Cal Poly Pomona Distinguished Alumnus. Dr. Lewallen completed two master’s degrees at Purdue University and a Ph.D. at UCLA. Dr. Lewallen has served as a college president for 12 years and since 2012 he has served as the superintendent/president for the Hartnell Community College District (Salinas, CA). He has 40 years of higher education experience including 5 years at a four-year institution (Purdue University) and 35 years in the California Community College system. Dr. Lewallen is currently a Commissioner for the Accrediting Commission for Community and Junior Colleges. He served as president of the Association of California Community College Administrators, a professional organization representing over 1,100 administrators. He is currently serving his 5th term as Chair of the Board of Directors for the Community College Facility Coalition. He serves locally on several boards including the Monterey County Workforce Development Board and the Board of Directors for the United Way of Monterey County. His record of leadership, scholarship, achievement, accomplishment, community involvement, and service is documented in his curriculum vitae which can be accessed at this link. Dr. Lewallen’s hobbies and interests include guitar, fitness, fishing, and backpacking. His wife of 36 years, Michele, is a retired community college coach and health and physical education professor. She is also a certified yoga instructor. They are the proud parents of Jennifer, Kasey, and Parker, and the proud grandparents of Mina. He and Michele lead physically active lifestyles that include a commitment to physical fitness and health. They have both completed the Los Angeles Marathon twice and Michele has completed several other marathons and triathlons. They reside in Prunedale. A native Californian, Tom Reeves was raised in Pacific Palisades, a suburb of Los Angeles nestled between the open space of the Santa Monica Mountains and the beauty of the Pacific coast. He developed a love and respect for nature early on in life and decided that his career needed to let him live where nature was close by. Tom chose to become a civil engineer. At first that might seem to be a contradiction, but it allowed him to help protect the environment and move about the country. He started his career with the Los Angeles Department of Water and Power and advanced to the L.A. Department of Airports. Then he and his wife, Gail, moved to Coos Bay, Oregon, where he became assistant city engineer. In 1988, Tom and Gail moved again, this time to Monterey, and he became the city engineer here. Throughout his professional life, Tom has been a leader in developing advanced environmental protection and infrastructure management programs. Tom has contributed to environmental protection causes since his teen years. Once settled in Monterey, he was drawn to volunteering for the Big Sur Land Trust because of its stellar reputation for protecting the environment in an efficient and open manner. As a licensed civil engineer and land surveyor, Tom has been able to help the BSLT assess and manage its fixed assets. Tom is an avid walker, hiker, and backpacker and has seen many of the BSLT's properties from all angles. George Somero, a Minnesota native who grew up spending a great deal of his time in the out of doors enjoying nature, joined the Big Sur Land Trust Board in 2006. He served two terms as Board Chair during his tenure. He was drawn to BSLT by its focus on land conservation and efforts to encourage people of all ages, from all walks of life to experience the physical and psychological benefits of contact with nature. George’s interest in nature extends to his professional career as a biologist. He obtained a B.A. in Biology from Carleton College and a Ph.D. in Biological Sciences from Stanford University. He spent three years as a postdoctoral scholar at the University of British Columbia and then began his first faculty position at the Scripps Institution of Oceanography. After twenty-one years at Scripps he moved to Oregon State University for four years, before returning to Stanford’s Hopkins Marine Station, where he currently works. His Ph.D. research was done in Antarctica, where he studied the world’s coldest fish, species native to the Southern Ocean that have body temperatures near 28°C. He currently holds positions at two universities in China, where he studies the world’s hottest animals, small snails with body temperatures reaching 130°F. Much of his work is cast in the context of global climate change as he seeks to understand how organisms succeed in adapted to such wide ranges of temperature. His work has been recognized by election to the United States National Academy of Sciences and as a Fellow of the American Association for the Advancement of Science. George remains an avid hiker and works with his colleagues at the Land Trust to develop opportunities for all citizens of our community to experience and benefit from the interactions with the natural world that have given him such great enjoyment and fostered a lifelong interest in the study and conservation of nature. Judith Sulsona joined the Big Sur Land Trust Board of Trustees in 2010, attracted by the organization’s history of protecting our unique and precious lands, and by the inspiring plans to expand Land Trust’s mission to engage and partner with communities throughout the region. During her years on the Board, Judith has chaired the Committee on Trustees and the Community Engagement Committee, and is a member of the Carr Lake Planning Core Group. She also served as Board Chair in 2014. Judith was born and raised in San Juan, Puerto Rico. She graduated from the University of Puerto Rico and participated in a two-year graduate program at the Universidad Autónoma Nacional de México (UNAM.) She retired from her position as Executive Vice President of the Community Foundation for Monterey County in 2009, but has continued to work with foundations, nonprofit organizations and public agencies as a consultant in organizational development and community planning. She passionately mentors grassroots organizations that work for justice and equity in their communities. Judith has served on a wide range of nonprofit Boards over the past 25 years, and currently serves as Vice-President of the Hartnell College Foundation Board and co-chairs the Hartnell Council for the Arts. She and her husband Bill Rawson have lived in Carmel Valley for thirty-five years and are often seen hiking in Garland Park, Point Lobos and Palo Corona. They find walking in Glen Deven a uniquely peaceful experience and have enjoyed sharing hikes with Salinas Valley families in Marks Ranch. Both are avid readers, enjoy traveling and are enthusiastic supporters of the arts and advocates for land and community conservation. Prior to becoming a Trustee of the Board of BSLT in January 2017, Mr. Winston was an enthusiastic supporter of the outstanding work being done by BSLT through its expanded strategic direction of engaging in more community involvement and youth outreach programs using the land under its stewardship. Mr. Winston’s professional career was involved with high technology corporations, where he served in senior management positions, as well as on Boards. Since retiring in 2006, Mr. Winston has been an investor and advisor to small growing businesses. Mr. Winston was on the Boards of several diverse nonprofit entities including a museum, symphony, and healthcare organization. Currently, he serves on the Boards of the Monterey Peninsula Country Club, Hospice Giving Foundation (HGF), and BSLT. Mr. Winston’s education is comprised of BS, MS and MBA degrees. An avid lifelong hiker, his experiences around the world include North and South America, New Zealand, Asia and Europe. His favorite experience is the Sacred Trail of the Incas from Cusco to Machu Picchu in the high Andes Mountains of Peru. Appreciation of such spectacular venues was the impetus to becoming involved with ensuring the beautiful lands we love will be preserved for future generations to enjoy. Mr. Winston is also an accomplished commercial pilot having flown throughout North America and the Caribbean. Mary Wright is a native New Englander. She received her Bachelor's degree from Marquette University and Master's degree from the University of Missouri Columbia. As the daughter of two teachers, she spent many summers traveling throughout the country's state and national parks. While aspiring to a career as a park ranger, she learned that career path was not open to girls. Following her education, and in the early stages of her career, opportunities had opened and she became the first female park superintendent in the California state park system in 1981. She served as Monterey District Superintendent, Deputy Director, and retired as Chief Deputy Director of the California state park system. During her 25 year career with state parks she worked with Big Sur Land Trust on a number of projects, including the acquisition of the Point Lobos Ranch. is particularly interested in providing parks and open space in underserved areas and was drawn to BSLT's commitment to that goal. Mary has served on the boards of the Save the Redwoods League, the Elkhorn Slough Foundation, the Trust for Public Lands Advisory Committee and served as chair of the Community Foundation for Monterey County. Mary loves to hike, bird watch, snorkel and enjoys photography. She has lived in Monterey County since 1976. She and her husband Ken, a former BSLT trustee, live in Big Sur. Larry Oda was born in a Justice Department Internment Camp in Crystal City, Texas during World War II, and has lived in Monterey, California since 1946. Larry was educated in Monterey city schools and received Bachelor's and Master's degrees from California State University, Fresno. He is a Vietnam veteran, having served aboard the aircraft carrier USS Ranger (CVA-61) in the OP Division, Integrated Operational Intelligence Center. Larry recently retired as the Maintenance Superintendent of the City of Salinas, California overseeing the maintenance and repair of city infrastructure; streets, sewers, buildings, parks and equipment and served as an Administrative Hearing Officer. Larry is a member of the Japanese American Citizens League (JACL) and continues to serve as an ex officio member of the organization's National Board. He was elected to the office of National President and has served as Vice President for General Operations, Secretary Treasurer, and Chairman of the US/Japan Education, and Financial Oversight Committees. He was elected to the National Japanese American Memorial Foundation Board of Directors and currently serves as its chairperson. Larry's family came to the Monterey Peninsula early in the 1900's to work in the fishing industry. His grandfather was the owner of the Seapride Canning Company on Monterey's Cannery Row and his father was the general manager of the Abalone Processing Co Op on Monterey's Fisherman's Wharf prior to World War II. Although much of his family's history revolves around the ocean, Larry's interests focused on more land-based activities such as park and landscape development and maintenance, as well as a preservation of the history of Japanese in the Monterey region.